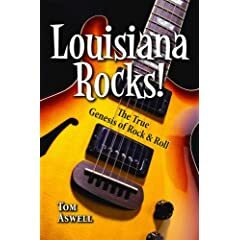 Tom Aswell’s opus is a thoroughly enjoyable, entertaining ride through the history of rock using the state of Louisiana as the nexis. Kicking off with a chapter on the “Birth of Rock and Roll,” he uses Cosimo Matassa and the J&M Studio as ground zero, which makes perfect sense for anyone familiar with New Orleans recording history. Between 1947-1956, J&M Studio literally gave birth to the New Orleans sound. It was here that Matassa recorded many of the legendary figures in rock and R&B—Roy Brown, Professor Longhair, Dave Bartholomew, Fats Domino, Guitar Slim, Shirley & Lee, Lloyd Price, Big Joe Turner, Jerry Lee Lewis, Ray Charles —even Little Richard was brought in to record “Tutti Frutti.” Obviously, Aswell did not have a particularly difficult time proving his thesis. Though the book is divided into chapters—The Birth of R&B, The Baton Rouge Connection, Blues Artists, Cajun and Zydeco, Swamp Pop, The Louisiana Hayride—each consists of relatively short vignettes (in alphabetical order) of the individual musicians and groups that contributed to the various styles. 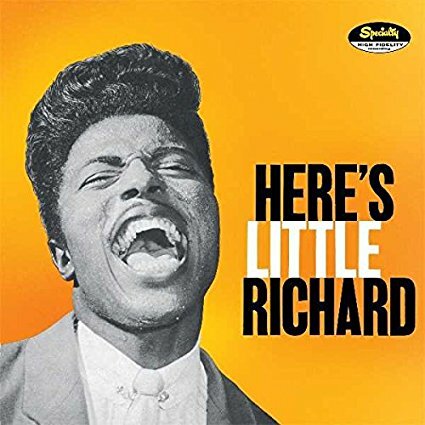 While much of the biographical information could be gleaned elsewhere, Aswell does an admirable job of presenting a regional musical history, weaving the stories in and around the clubs, studios, radio stations, record labels, and record stores of Louisiana. The volume concludes with an alphabetical appendix of the artists and their top songs. Sadly, the complete discography that Aswell compiled was cut by the publisher, but if we’re lucky it will surface in the future as a separate volume or perhaps a website. David Kirby, a Distinguished Professor of English at Florida State University as well as a noted poet and music writer, has written a passionate treatise on Little Richard—or more precisely, why “Tutti Frutti” is the single most important song in rock (and pop) history. As evidenced by the above quote, the book is a highly amusing read, and short enough that you can devour it in an evening. But you’ll definitely want to keep a copy on your bookshelf, if for no other reason than the numerous examples of truly inspired prose and the overabundance of quotable passages. 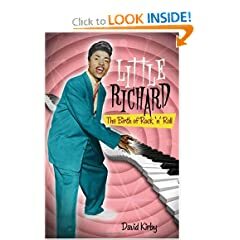 Little Richard: The Birth of Rock ‘n’ Roll will most certainly appeal to a very broad market, including fans of Little Richard, R&B music, and music lovers in general, as well as teachers of popular music and creative writing.